This reading group guide for Where a Man Stands includes an introduction, discussion questions, ideas for enhancing your book club, and a Q&A with author Carter Paysinger and Steven Fenton. The suggested questions are intended to help your reading group find new and interesting angles and topics for your discussion. We hope that these ideas will enrich your conversation and increase your enjoyment of the book. The gravity of a single choice can transform a man’s life, but Carter Paysinger didn’t know just how much things would change when he first set foot into Beverly Hills High School. After “winning” a permit to attend the prestigious school, Carter discovers a new world distinct from his South Central home. Within a few short years, Beverly becomes his new family, and—time and time again—he finds reasons to return, first as a coach and later as a teacher. After a troubling increase in staff turnover and a fall in student test scores, coupled with a few setbacks in Carter’s own life, he begins to doubt the direction he’s going. But Beverly isn’t through with him yet—and with the help of an old friend, Steven Fenton, Carter isn’t finished with Beverly, either. 1. Carter Paysinger’s huge break was snagging a multicultural permit to attend Beverly Hills High School. Discuss the advantages and disadvantages of a multicultural permit. In what ways is it comparable with affirmative action? Would you have voted to keep it at Beverly Hills High? 2. Carter was only fourteen when he first attended Beverly. How might his journey have been different if he had begun attending the school at a younger age? What about at a later age? 3. Do you think Carter’s cousin Benny chose the right method to teach Carter about drugs? How would you have reacted? 4. A well-manicured lawn said a lot about a person’s wealth at Beverly. In what ways did it function as a motif in Where a Man Stands? 5. Carter reflects on how the staff and students at Beverly became his new family. Why was it so critical for Carter to establish a sense of community there? Why do you think this resonated so deeply with Carter in particular? 6. Carter is careful not to judge other Beverly students by where they come from and expects the same treatment in return. Why is it important to heed the background of an individual? Can you think of examples where Carter is mindful of this? 7. How different would Carter’s path have been if he hadn’t participated in sports? 8. Who were Carter’s best and worst influences in Where a Man Stands? Who was your favorite character? 9. The racial makeup of South Central and Beverly Hills is a focal point in Where a Man Stands. Discuss the role of race in Carter’s life and how it shaped his decisions. 10. Compare and contrast Carter and Steven. What did they have in common beyond Beverly? What was at the core of their friendship? Do you think Carter would have been able to “save” Beverly without Steven? 11. Carter’s former player says in the afterword, “You know, Coach, I never thought of you as black or white. I just thought of you as Carter.” What does he mean by that? Why do you think Carter reacted so positively toward it? 12. Who do you think the target audience is for Where a Man Stands? How can readers benefit from its messages? What was your biggest takeaway from the book? 1. Choose a classic movie or television show set in Beverly Hills High School, and show it at your next book club meet-up. See how many “landmarks” from the book you can identify. 2. In the spirit of diversity, ask each member of your reading group to recommend a book written by an author of a marginalized identity—nonwhite, female, disabled, etc. Vote on the winner, and put it in the queue for your next book! 3. 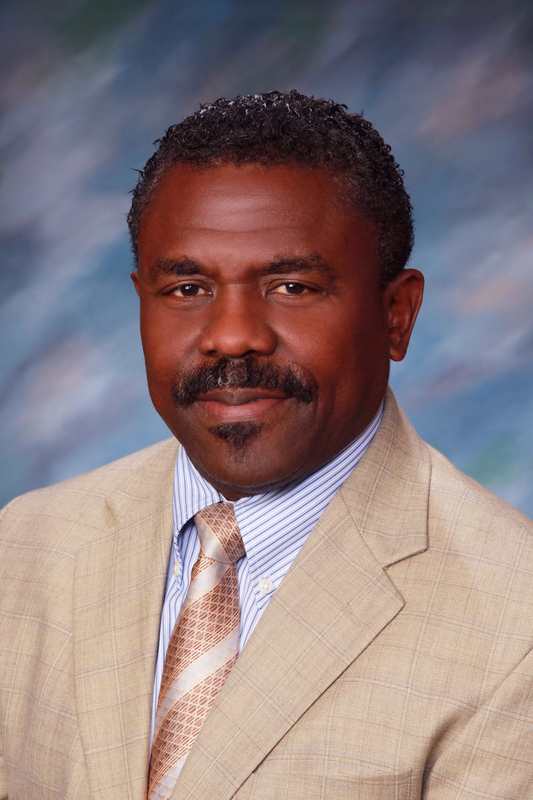 Carter Paysinger became the first black principal of Beverly Hills High School. Share stories or dreams of overcoming adversity in your own lives. Compare and contrast your stories with Carter’s. 4. Take me out to the ball game! Plan a day at the ballpark with your reading group in honor of Carter’s childhood dream. 5. With your book club, choose a charity or organization to donate to that helps children and teens stay away from drugs. Write a letter to Carter Paysinger asking him to donate, too! 1. Beverly Hills High became your entire life—literally. What kind of role did it play in your brothers’ lives? Why do you think you had a stronger connection with it? Beverly had a huge impact on my brothers as well. Having the opportunity to attend such a diverse high school was invaluable. They would tell you that it more than prepared them for college and life after college. It also gave them a better sense of who they were. I believe I had a stronger connection because of my experience in going from Overland Ave. Elementary, a predominately white school, to Horace Mann Jr. High School for one year, and then to Emerson High School, another predominately white school. After leaving Western Ave. Elementary School, my brothers only attended predominately white schools. I had the experience of really witnessing the differences in our neighborhood schools and the Westside schools. After a few years at Beverly, I could really appreciate the tremendous opportunity. 2. The multicultural permit gave you the opportunity of a lifetime to earn a good education. Did your South Central friends’ parents have the same kind of goals for their children? How was your experience unique among your peers? I can’t really speak for the parents of my friends in South Central. I’m sure their parents had good intentions and high aspirations. My mother, however, was driven to give us the best, even if it appeared to be unattainable. The experience of growing up literally in two different worlds gave us great perspective, the ability to navigate those two worlds, and the confidence to eventually be our best. 3. Did you ever consider pursuing an administrative job or teaching position at any schools in South Central? Was there any chance to make those schools as successful as Beverly was/is? I have often thought about pursuing an administrative job at a school in South Central. Finishing my career at a school in the inner city is definitely on my radar. My wife and I have talked about opening a charter school in South Central Los Angeles. There are currently some very successful schools in South Central. We believe any school has a chance for success with the right leadership. I truly believe that all kids can learn and all kids want to be successful. Parents and teachers helping their kids or students find the path for success is the key. 4. It wasn’t until you began considering the position of principal at Beverly Hills High that you feared other people wouldn’t stand for it because of the color of your skin. Was race ever an issue when you became involved as the baseball and football coach or athletic director? Why or why not? 5. How do you imagine your life if you hadn’t attended Beverly Hills High? I do think I would have been successful in life had I not attended Beverly. The level of my success is the question. I don’t know if I would have had the exposure to really compete in a predominately white arena. Beverly gave me the exposure to interact with people of all backgrounds. I had the opportunity to grow up in an environment where I was surrounded by a lot of successful families—people who truly believed the sky is the limit. I was able to see firsthand people that really believed that they could be whatever they wanted to be. 6. Will your son be attending Beverly? Do you hope to adopt any more children? I’m not sure if my son will attend Beverly. There are many more choices today than there were when I was a child. We’re still a decade away from having to make that decision. We absolutely want to give Chandler the best opportunity to be successful. My wife and I are extremely blessed to have Chandler. At this point, however, we’re not looking to adopt more children. 7. According to the Los Angeles Times, you founded and are running a sports camp for students at Beverly. What kind of goals do you have for the camp? How is it changing the athletic teams? In 1996, the school district asked me and a couple of my colleagues to consider running a summer sports camp. The camp was designed to help students prepare for their upcoming seasons. It was a four-week optional summer camp for students and coaches. It turned out to be hugely successful and instrumental in allowing students to develop as athletes. Although the camp continues to be available every summer for our students, I have not been actively involved since 2009 when I became an administrator. 8. What advice would you give to someone who wants to make a systemic change in a school system? My advice would be to always keep the kids first. My entire career has been based on one simple philosophy: I want to give each of my students the very best opportunity to succeed. When making systematic changes, I believe you must start with analyzing and really understanding the system that’s in place. You must understand the current culture and how that differs from the desired culture. In order to make successful changes you must also have buy-in from key stakeholders. That will be much more likely if it’s done collaboratively and with mutual respect. 9. If you could send one message with Where a Man Stands, what would it be? "Where a Man Stands will inspire by example and bring tears of happiness to those who honor and admire achieving great success out of the mouth of adversity." "If you believe that a single person can change the course of your life, this book is for you. Carter and Steven’s friendship and their willingness to put everything on the line for one another is remarkable. Where a Man Stands is a winner." 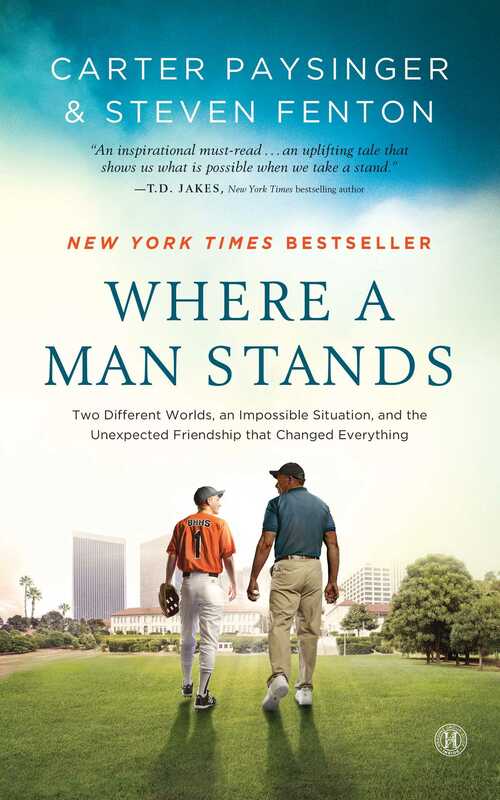 "Where a Man Stands provides a powerful and heartwarming story of race, class, and friendship in Beverly Hills, California, where character triumphs over prejudice and hope for a post-racial society remains eternal. 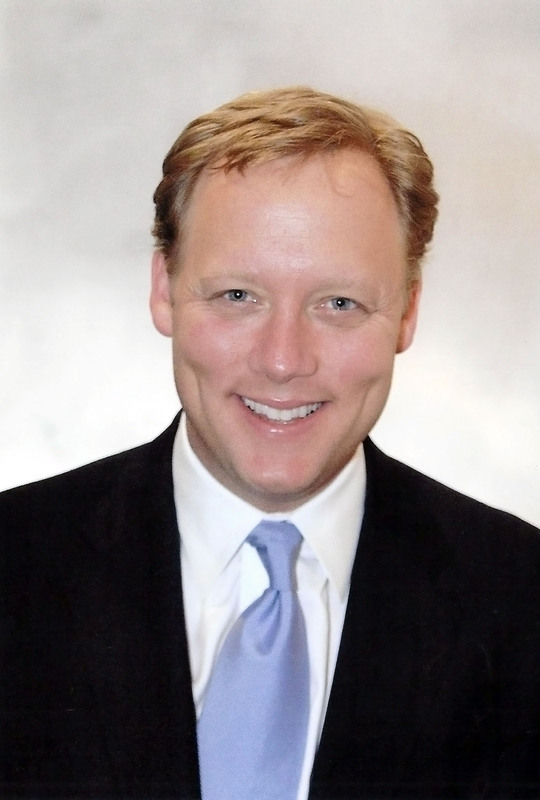 Readers will enthusiastically stand with Paysinger and Fenton as they break down racial barriers and implement educational reforms at Beverly Hills High School."